These words still ring very true for our times. There are people who worship a god whom they have made—much like the “wooden idols”—after their own image instead of worshipping the God who has made them in his image. There are people who do not worship in churches, but in luxurious temples of commerce, wealth, and fame. There are people who worship no god but themselves (self-idolization). It seems that people want to worship in their own ways and want to find salvation on their own terms. There is a better way. 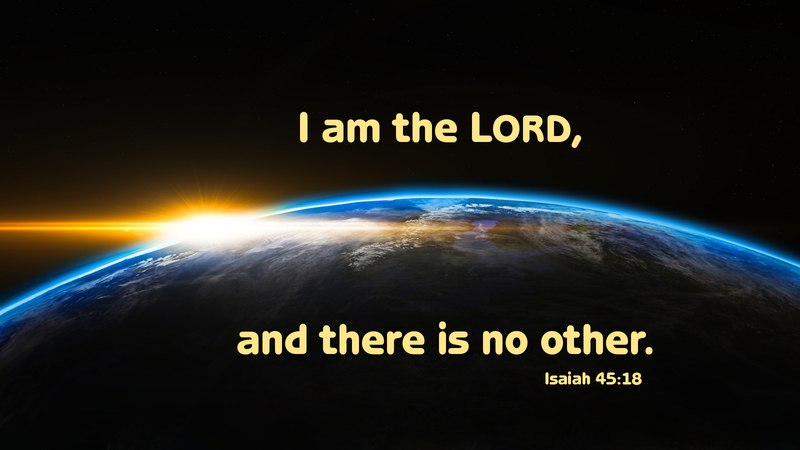 We should take to heart what God has spoken through the Prophet Isaiah, “Turn to me and be saved.” We are assured that this God is one (“there is no other”), all-powerful (he created everything), reliable (“I speak the truth”), and gracious (in him “all…shall be justified”). You believe that God is one? You do well! Let us draw near to the one true God who saves. Prayer: Saving God, you alone are God; to you alone belongs our honour, praise, and worship. Amen. Today’s devotion was written by Bjoern Meinhardt, pastor of St. Peter’s Evangelical Lutheran Church, Winnipeg, MB, Canada.